Today is World Theatre Day and also Belgrade Theatre, Coventry‘s 60th birthday! 10 years ago I (Sarah Emmott) worked at the Belgrade on Chris Cooper’s new play ‘Promise’ for Year 6 pupils. Being part of that process changed the way I felt about working in theatre and how it could be made. Chris became an important creative mentor to me and that play reignited a passion for working creatively with young people which is still burning now. After working in that building I started writing, creating and making my own work. Being involved with project shaped my trajectory for years to come. His whole year group nodded within a profound silence which, even looking back on it now, still moves me. 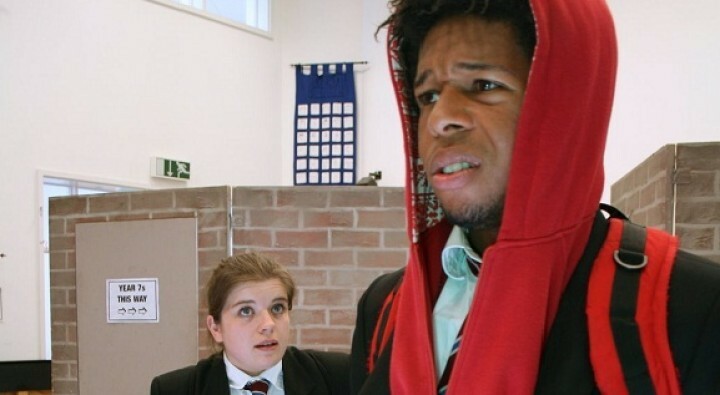 That tour of primary schools cemented my love of drama which aims to open up conversations to understand what it means to be human, and which challenges and tests our views of each other and the world. Thanks to the Belgrade for having me back the following year, and for Summer School’s in more recent years – the Belgrade has got a special place in my heart – I did a lot of growing in those walls of the Patrick Suite rehearsal room, and know a lot of others have too. At Summer School 2017 a father told me he hadn’t realised how much of a profound impact the arts could have on his daughter, but that after seeing her grow more in a week than he had ever seen her grow before, vowed to continue to encourage her creative journey. Sometimes the best drama isn’t theatre that’s shiny with big budgets, huge auditoriums, mass marketing campaigns and VIP audiences, sometimes the best theatre is in a small room, with young people understanding themselves and their world better. I’ve certainly experienced that, and am a product of it. Happy birthday Belgrade Theatre, and happy #worldtheatreday to us all. P.S I promise you this is a photo of my 10 years ago in a rehearsal for ‘Promise’ and not me at school!